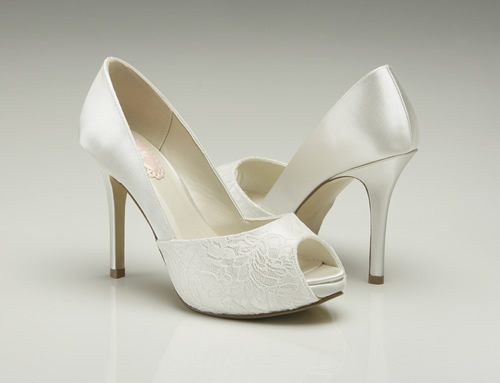 Ivory satin. 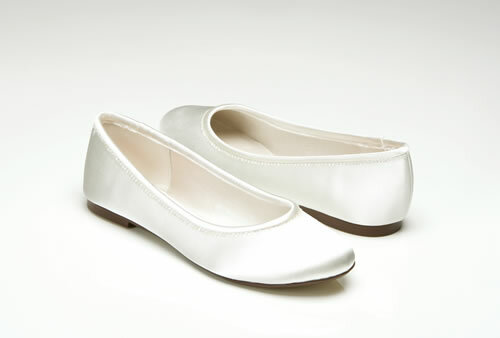 Flat shoe. 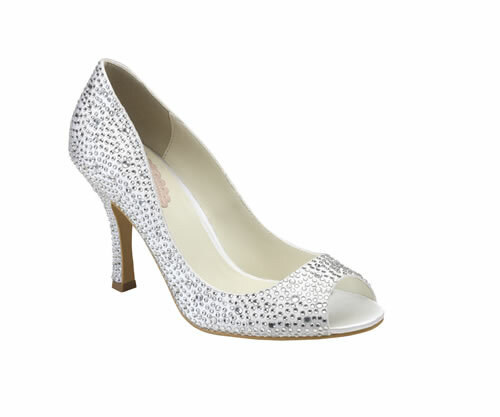 sizes 37 was Â£59-95 now Â£28 Dyeable. 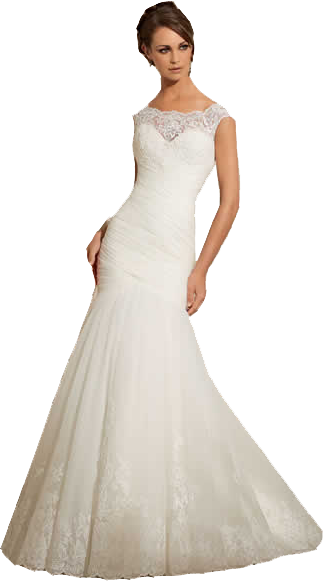 Ivory satin &lace. Dyabel. Heel height 9.5cm. Sizes 35-41. 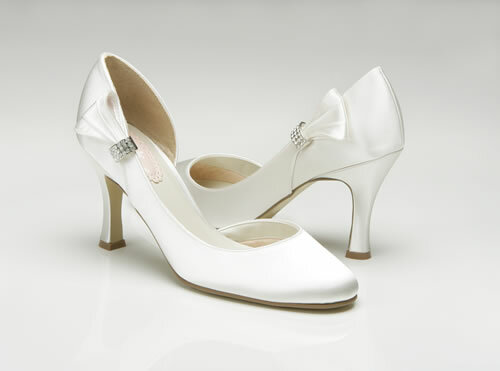 Ivory satin, Heel height-9.5cm, sizes 41. was Â£79-00 now Â£39.50 Dyeable. Available in colours: Silver, Champagne, Fuchsia or Blue. 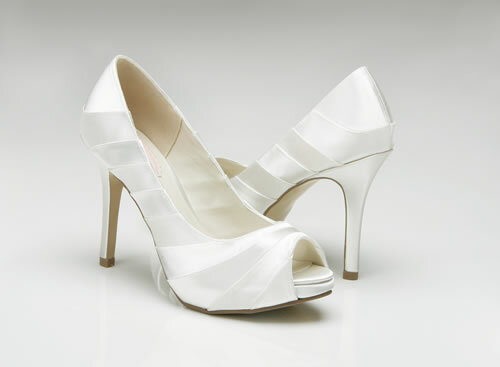 Heel height: 8cm. In Sizes: 36-42.